When not conversing with Locke on thorny questions of understanding and misunderstanding I write poetry. As long as I can remember I have always heard voices in my head. Over the years jumbled thoughts, fired by sometimes overwhelming feelings, have jostled with fragments from poets and playwrights. I enjoy experimenting with different forms – sonnets, villanelles, lyrics. 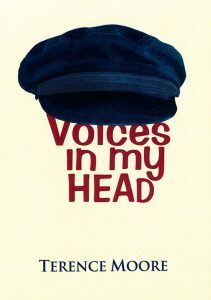 Some of my poems are collected in a slim volume entitled ‘Voices in my Head’. These poems are attempts to understand a chequered past, embrace a vivid present, prepare for an uncertain future. The Voices speak of loving and hiding from love, of ageing and confronting death, of words and meanings, of sadness and of joy. Locke too wrote some poetry, pastoral poems. This was during a romantic period after meeting with Damaris Cudworth as she was then. Damaris responded in kind. Their noms de plume were Philoclea and Philander. I suspect these poems are likely to be of interest only to those of us intrigued by the complex nature of their long relationship.